See the NL “Actual“page for 2019. The fort is open every last sunday between the months April – October from 11 to 16 hrs. Changes are possible and will be notified on the “Actual” page. On all open days there are guided tours. But you may also look around on your own in the old fort. Scouting museum is open and exhibits about several periods of the Dutch military history are open, the English-Russian invasion in 1799 en Linie van Beverwijk. 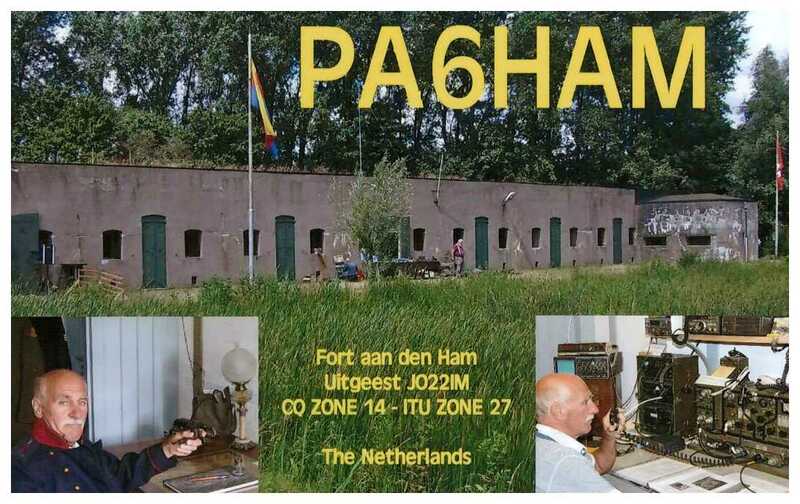 When the Fort is open it is equiped with licensed radio amateurs. We are on air with call PA6HAM. Other days the call is PE1PGW. De fort frequenties ± qrm. 2 meterband FM 145.350 mhz en de repeater PI3ASD 145.775 mhz.